An ultrasonic switch is a device that uses inaudible high-frequency sound (ultrasound) to detect the presence or absence of a liquid at a designated point. The device consists of an electronic control unit and a sensor. Ultrasonic level switches use the properties of sound transmission in vapor and liquids to detect liquid level. When sound travels in air, it loses a great deal of signal strength. When traveling in liquid, sound retains almost all of its signal strength. To detect liquid level, we must determine if there is a liquid or gas (air) in the gap. Since liquids have a higher density than gasses, it is easier to transmit sound through them. One side of the sensor gap transmits sound, the other side detects it. When liquid is present, a high amount of sound is received at the detection side. When gas (air) is present, a small amount of sound is received. The electronics detect this difference and switch a relay accordingly. Ultrasonic switch sensors contain two piezoelectric crystals, one transmits sound and one receives sound. Each crystal is mounted on one side of a gap in the metal sensor. The transmit crystal generates high frequency sound (1MHz to 3 MHz) that is directed across the gap to the receiver crystal. The receiver crystal converts the sound energy received into an electric signal, which is processed by the electronics to determine if the gap has liquid or air in it. Ultrasonic Switches employ a pair of piezoelectric crystals that are encapsulated within epoxy at the tip of the transducer. The crystals are comprisedUltrasonic Gap Switch Working Principle of a ceramic material that vibrates at a given frequency when subjected to an applied voltage. When the voltage is sent from the electronics, one of the two crystals, the “transmitting crystal” converts the voltage to an ultrasonic signal. The presence of liquid within the transducer gap allows the second crystal, the “receiving crystal” to sense the ultrasonic signal and converts it back into an electronic signal. The signal informs the electronics that liquid is present within the transducer gap. If no liquid is present, the ultrasonic signal is attenuated and cannot be detected by the receiving crystal. The ultrasonic transducer continuously monitors the gap to determine the presence of liquid. When used as a high-level switch, the electronics will immediately actuate a relay if it detects a wet gap.Similarly when used as a low-level switch, it continuously monitors the gap for a dry condition. Ultrasonic level switches can be used in a wide variety of applications without any calibration or setup. However, there are limitations to the types of process they will work in. The factors below must be taken into consideration before selecting an ultrasonic level switch for your application.  Liquids only – the process media must be a liquid. The ultrasonic level switch cannot detect the difference between two gases or a gas and a solid. The even density of a liquid is required for proper detection.  Clean liquids only – a liquid that has too high a percentage of solids will not transmit sound well enough to allow detection. Typically 5% suspended solids are the maximum amount allowed.  The liquid must flow – an application where the liquid cannot drain out of the sensor gap will cause false alarms. If a liquid is too viscous to flow out of a 3/4” gap then the unit will not operate properly. Sometimes this can be solved by different mounting, but some liquids are just too viscous.  No (or few) bubbles – especially in fluids with a higher viscosity. Large bubbles in thick fluids will block the sound signal from crossing the gap. Low viscosity fluids can have a fairly large amounts of bubbles as they tend to be very small (Alka-Seltzer in water). 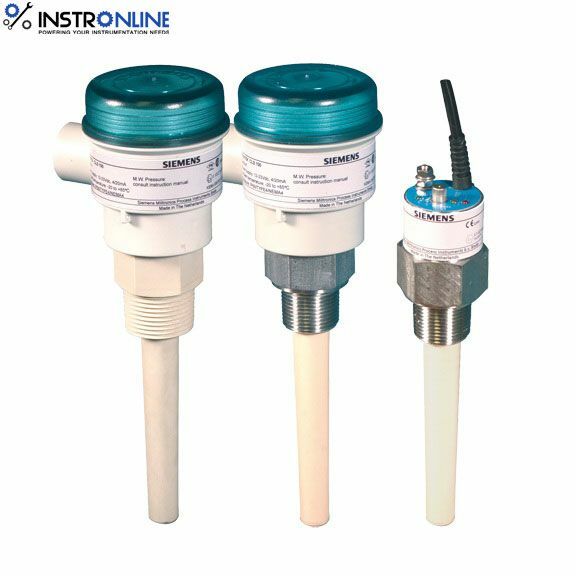 If these guidelines are properly observed, the ultrasonic level switches will provide trouble-free operation without any calibration or periodic adjustment. How may we help you ?